It occurred to me recently that in my eagerness to share some personal blog posts that I wanted to be timely (holiday-related things, etc.) I breezed past a few of my favorite sessions from this Fall. I've been wrestling lately with whether or not I need to share as many sessions on the blog as I used to. I've never blogged absolutely everything I photograph, for various reasons... sometimes, my clients express needs to keep their images private. Sometimes I photograph special things that aren't really what I'm trying to grow in my business, so they don't get shared. And all of these are fine reasons to not share images. But. To be honest, blogging is a very time consuming process and ever since Willow's been born, my life has become an exercise in maximizing my time. So I'm always thrilled to have new clients and I want people who are booking to be able to check the blog and see recent work. But at the same time, after this many years and a portfolio as large as mine has become, I don't think it's ALWAYS necessary. That said, when I see folders of sessions I haven't shared on my computer, I'm so in the habit of sharing most of my work, that it's almost like my work feels unfinished! It's like the frosting on top of what we've already done. So, here is some frosting from the Meyers family! We did this session in the morning, which was perfect. I always recommend if you have young children, to schedule for the morning. I know Willow is always much more cheerful in the morning. And in photography, our alternative is sunset. Which is literally Willow's grumpiest time of day! (And in the summer, she can't even stay awake that long!) So I was absolutely thrilled when Nicole wanted to do the morning session. 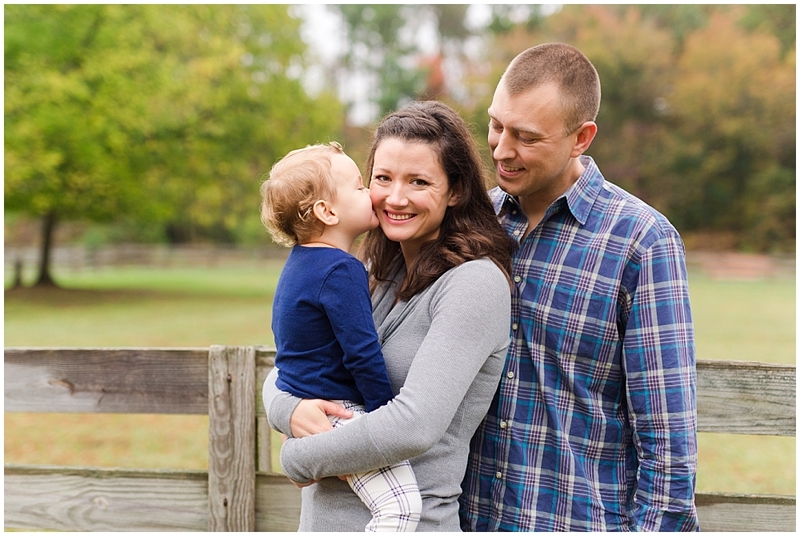 Her little one was happy and as adorable as could be for these pictures at Crump Park. We captured some of that elusive Fall color, but it wasn't too cold either so it was perfect timing! It was also just especially fun for me to photograph a child who was so close to Willow's age because I felt like I knew exactly the things that she would like to hear/see that would make her laugh or look at the camera. This Mommy-hood thing is just the coolest that way.